In 1918, women voted for the first time. To mark this momentous event, send photos of women you wish to celebrate for a giant photo mosaic portrait at Birmingham New St Station. Now the winter months are drawing in, please consider getting a flu vaccination. There are many myths surrounding flu and the flu vaccine. Find out the facts. Don't forget applications for Year 7 secondary school places for Sept 2019 can be made through the council website 24-hours a day until the closing date of 31 Oct 2018. There’s lots of help online. If you’re a parent currently considering childcare options, find out if you could get the government’s help with costs. From 8 October, work to improve public transport is scheduled to begin on trial bus lanes along Harborne Road towards Birmingham city centre. Find out more. It’s World Homeless Day on 10 October. If you’re concerned about someone who is sleeping rough, please contact StreetLink. Birmingham’s new Poet Laureate and Young Poet Laureate have been announced. During their tenure, both Poets Laureate will produce new poems and work to promote poetry across the city, as part of the scheme run by the Library of Birmingham. 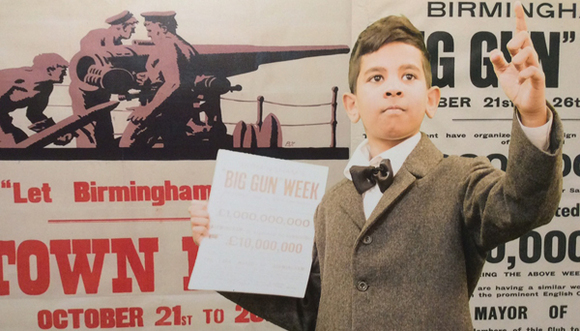 Birmingham’s role in the First World War and the impact it had on the city and wider West Midlands is the focus of a new exhibition now open at the Library of Birmingham. Once Upon a Time in Birmingham an illustrated book of stories about thirty inspirational women from Birmingham past and present, launches at the Birmingham Literature Festival on 13 October. You can also pre-order copies of the book here. Get your funny bone tickled at the Birmingham Comedy Festival at venues citywide, until 14 October. Enjoy a number of events taking place in the city during October’s Black History Month. The Wine, Cheese & Chocolate Festival on 20 October will celebrate the very best in British artisan suppliers. Birmingham Improv Festival promises the very best in made-up stuff from 26 October-3 November. Half-term will soon be upon us. Enjoy half-term activities and Halloween fun at Birmingham Botanical Gardens, from 29 October-2 November. Enjoy a magical journey through the seasons at Guess How Much I Love You, at Town Hall, Birmingham, on 3 November. Remember, remember 5 November. Celebrate Bonfire Night with a bang! 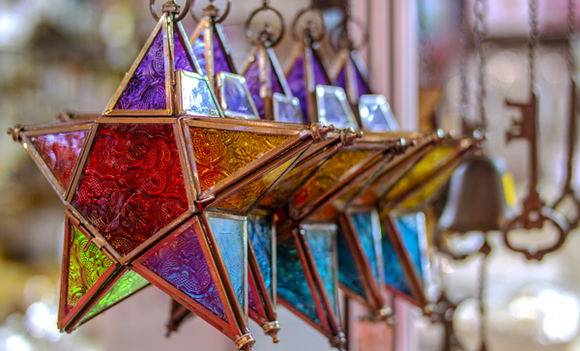 The Festive Gift Fair, from 15-18 November at the NEC, is one of the most popular Christmas shopping events in the UK. The Fair will be bursting at the seams with a colourful and eclectic mix of unusual stocking fillers and presents, traditional gifts, festive food and great home decorations. With 325+ stalls all under one roof, the variety is huge, with clever gift ideas for all ages and tastes - and lots of special show offers! There’s even a Present Creche to drop off your full bags. So, take the strain out of Christmas, enjoy a day out at the fair and get your festive preparations off to a cracking start! 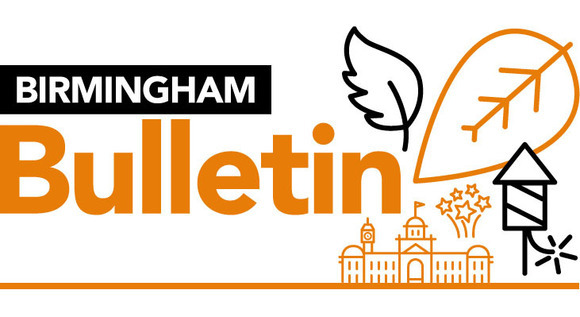 Send your answer and contact telephone number to bulletin@birmingham.gov.uk by 21 October 2018. Please put Festive in the subject field. Have your say on plans to improve the A457 Dudley Road, near to Birmingham City Hospital, to reduce traffic congestion through junctions and improve facilities for pedestrians and cyclists. Find out more and have your say by 31 October.